If one were to have access to a time machine and could go back to see legendary bandleader Thelonious Monk in concert during the 1950s and ‘60s, you’d likely see him so compelled by the music that he would retreat from his piano mid-performance and conduct his band, no matter how small or large, through an impassioned dance. But behind the joyous dance that overtook the stage lay the societal struggles a jazz musician endured to present that 90 minutes of musical freedom – a tale of police harassment, systemic oppression and constant battles for equality. Fast forward to 2017 and composer-arranger-pianist John Beasley is using Monk’s spontaneous movements and experiences as the basis for conducting radically reconceived versions of the late composer’s music for his critically acclaimed big band project: MONK’estra. The band is my piano. It gives me the opportunity to change the music on the spot by conducting. Host Bonnie Johnson continues her "Sounds of Summer" series with pianist, composer, and arranger John Beasley about his new release MONK’estra, Volume 1 (Mack Avenue Records). The GRAMMY® and Emmy Award-nominated bandleader will take his 15-piece big band out on a European tour in anticipation of Thelonious Monk's imminent centennial in 2017. John Beasley’s MONK’estra performed their empathetic, swinging and sometimes hiphop-tinged revisions of Thelonious Monk tunes at Dizzy’s Club Coca-Cola in Lincoln Centre on Thursday night, in front of a window with a view of Trump Tower. And, as Beasley reminded us, Monk himself had grown up literally only a stone’s throw away, on West 63rd Street. MONK’estra, Vol. 1 was released on Mack Avenue last year, garnering two Grammy nominations and critical acclaim. In the wake of that release, Beasley took the band on tour, before returning to the studio to make MONK’estra, Vol. 2. 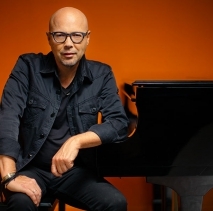 Grammy-nominated jazz musician John Beasley, who has collaborated with many famous artists such as Miles Davis, Sergio Mendes, Fourplay, Al Jearreau, Chaka Khan, Barbra Streisand and James Brown, was invited as the main guest of the festival and will lead five jazz sessions during the event. On Monk’estra Vol. 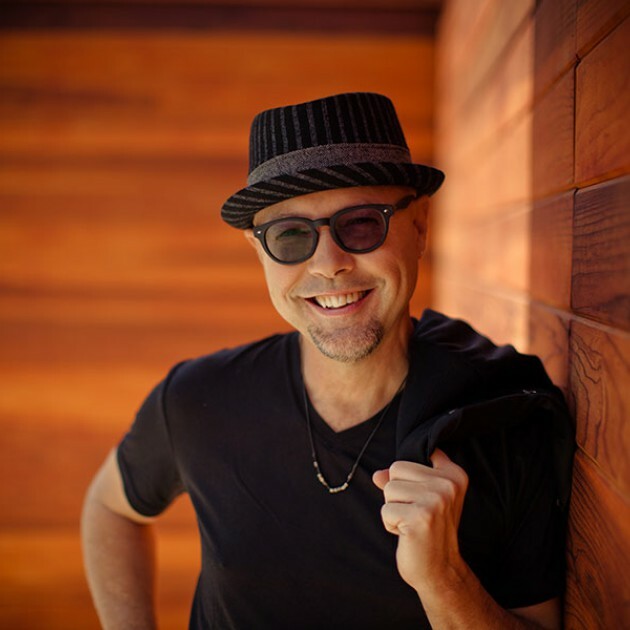 1 (Mack Avenue), L.A. keyboardist-composer-arranger John Beasley brings that same kind of boundless energy and fresh vision to the music of Thelonious Monk. 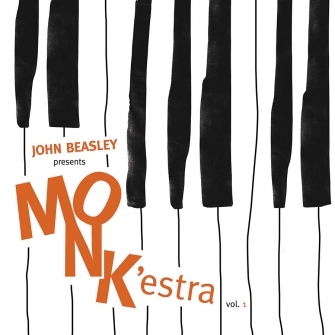 Los Angeles pianist John Beasley’s 15-piece MONK’estra, focusing on arrangements from two recent eponymous albums. Beasley seeks to infuse Monk’s music with contemporary cadences while evoking the challenges faced by the composer as a black man in a rigged environment. Jazz pianist, composer, arranger and bandleader John Beasley began his career in the early 1980s, around the time jazz’s Young Men in Suits proclaimed that bebop was the one true way of life. They spoke solemnly about “keeping the flame,” “honoring the tradition” and other such homilies. Record companies, clubs and festivals got out their checkbooks and rewarded these young firebrands, many of whom would have been rated as just OK in the eras they sought to reconstitute. "Last year, Justo Almario played saxophone with pianist and composer John Beasley and his big band on the album “MONK’estra, Vol. 1,” which is currently nominated for a 2017 Grammy Award in the Best Large Jazz Ensemble Album category." 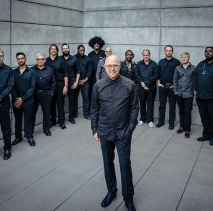 From the Afro-Cuban re-imagining of “Epistrophy” to a lively rap version of “Brake’s Sake,” Thelonious Monk’s classic tunes were taken for a wild ride by pianist-bandleader John Beasley’s 15-piece MONK’estra big band at the opening night of the North Sea Jazz Festival. On this week’s Rhythm Planet show, I catch up with the multi-talented pianist/conductor/arranger John Beasley. Beasley and his big band, MONK’estra, have gained widespread renown and two Grammy nominations for their creative re-imagining of the music of Thelonious Sphere Monk in John Beasley Presents MONK’estra Vol. 1. “I like the word ‘playfulness,’ because I’ve been saying ‘humorous’ and playful is more accurate,” said Beasley, who was not yet a teenager when he got hooked on Monk. It is one hundred years this October since Thelonius Monk was born in 1917 and to mark this commemoration of an iconic and highly creative and innovative musician, pianist, arranger and conductor John Beasley has produced the second part of an ongoing homage to the musician. Monk’estra, Volume Two is here, and it was well worth the wait. Digging deeper into the Monk catalogue, and allowing members of the band and select special guests to stretch out a but have made this is a delight. John Beasley considered the late Walter Becker an essential mentor and a key figure in his own career. 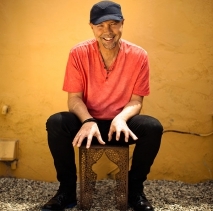 The Grammy-nominated keyboardist, composer and arranger started working with Becker in 1987. John Beasley’s MONK’estra project is ambitious. It involves a 16-piece big band, plus numerous special guests: tenor saxophonist Kamasi Washington, singer Dianne Reeves, jazz violinist Regina Carter, trumpeter Dontae Winslow, among others. The Kind World podcast from WBUR is sure to make your day a little brighter. The podcast tells stories about people who have been affected in a positive way by others. John Beasley orchestrates a 15-piece big band of Los Angeles’s finest jazz musicians. MONK’estra, Vol. 1 is, as the man himself might say, a gas. 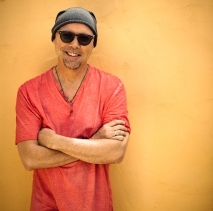 Keyboard Magazine's 2016 Top 10 Music Lists featuring Mack Avenue artists John Beasley and Yellowjackets. Our hope is that the releases below will lead you to artists you haven't heard (or remind you of some you may have missed or forgotten). 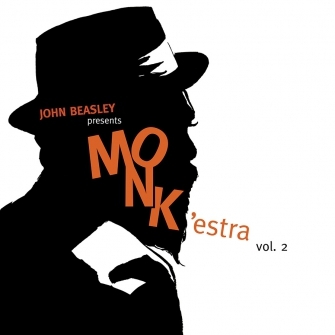 John Beasley’s MONK’estra refracts Monk’s music through an orchestral perspective, though, as Beasley has said, “it’s not your grandfather’s big band.” The arrangements are edgy, rhythmically volatile, and stylistically wide-ranging.